Terrance Doerhoff is creating Triple Mana, inspirational and comical illustrations. Grab your weapons and listen to the banging of the drums! Let the energy and strength of a knight flow through you! This is how I start everyday as I take a seat behind The Great Sketching Table! Where the coffee is always hot and fresh! Be bold like the moose! 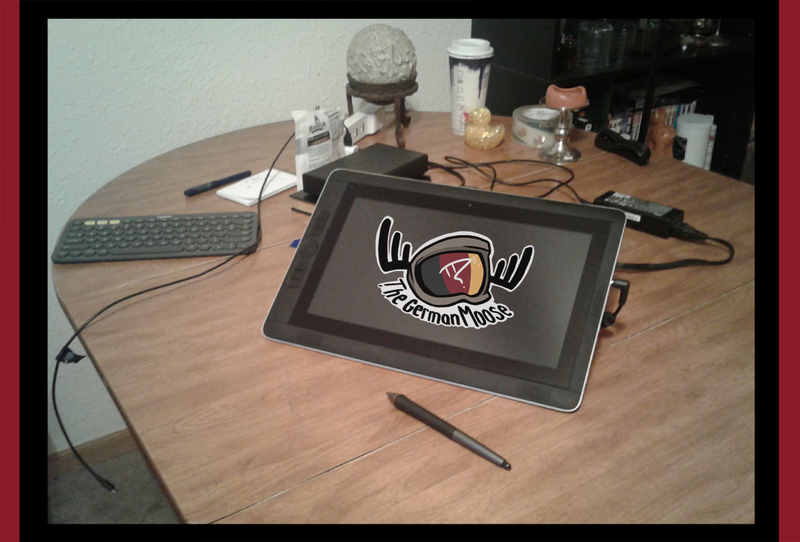 This is The Great Sketching Table and I am the The German Moose! I have turned my work into a business as I enjoy doing custom art. Drawing is my passion, my love and who I am. Learning that what I create from random thoughts and details in life can bring joy and laughter to others is why I do this! 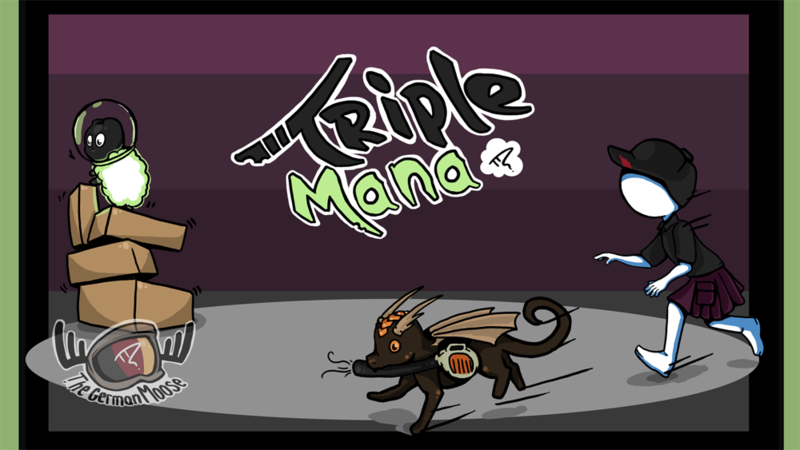 Triple Mana was created from doing just that, a web comic involving family friendly chaos and sheep. There are sheep everywhere in my art, they are different and brightly glowing! They guide us through the chaos, inspiring everyone to come together and help one another. Embrace the different with me for endless possibilities! Take stance! With honor for the sheep! To show my gratitude for those who support me on here, I will show my drawing process. From idea to sketch and how it comes to life. Working with you will help me grow and improve as an artist. Thank you for your wonderful time and have an amazing day! Very amazing! Required to get the sheep going! WAIT! Don't give the sheep coffee!!! Take the first sip, and the first step, to supporting this journey and lets see how far we can go! We will see what we can create together, with honor like a knight! Apples! Fascinating! 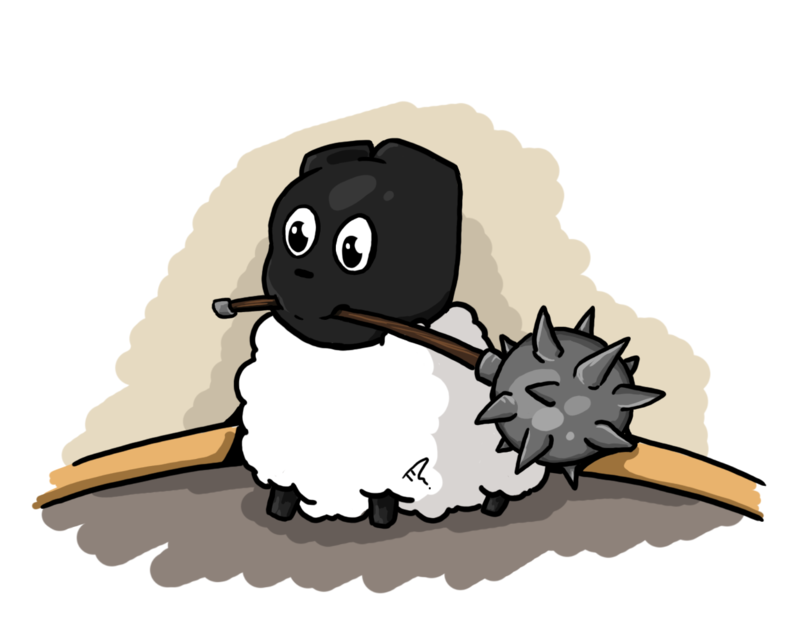 That's what sheep like! Not coffee! I love learning and asking questions, while you are here feel free to ask me about my work or life in general! Dragon and Sheep go together like hot chocolate and marshmallows. Dragon became a character in Triple Mana because someone wanted to see Sheep riding them. I'm inspired by all those who support me and enjoy my art. Thus, creating an infinite loop of inspiration! The first goal is to take Triple Mana back to what it was meant to be, a daily comic. So much has been accomplished with the community it's created already, but I know there's more we can do. I challenge myself to post Triple Mana daily once again by the the time I have 300 patrons.